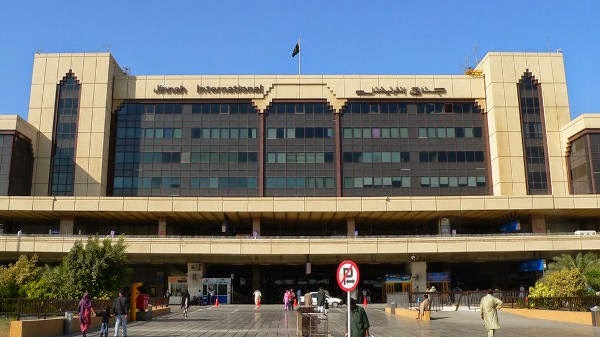 Karachi is Pakistan's largest and most populous metropolitan city of Pakistan with population of 23.5 million and it is also the most favorite destination of TTP and other terrorist groups. Karachi have history of deadliest terrorist attacks and target killings. After every attack politicians will issue a statement and agencies will blame it on India or Taliban but no one will think or plan for future to avoid such attacks. Security Forces still we are proud of them because when ever sh*t happens we send them to clean up. And if few of them get killed every time we don't care much. Security forces are some how under Pakistan Government it is their responsibility to train them and upgrade them so they can fight well and save us from such terrorism. But our Government and politicians arebusy in leg pulling of each other and saving their own a**. They damn care about how many security personnel got killed in attack. Now comes the "Pakistani Media", our beloved Media is the only media in the world where they can broadcast live any thing they want any time they want. Whatever is the issue they are the champions their reporting comes first. Who will report first the first killing and who will report first the total number of deaths. Same thing happened last night as soon they got news of Karachi Airport Attack they took their cameras and ran towards airport to showcase the movie live. Dunya News was reporting live that how many Ranger Men are coming and from which gate. A famous columnist Haroon Rasheed also said that "Pakistani Media right now helping terrorist by telling each and every security plan live on TV." Post by Haroon Rasheed (Journalist). Yes and it was true as per Haroon Rasheed "While covering rangers operation, the Camera Men of Express News flashed the army men who was hiding behind "
This is not only me or Haroon Rahseed saying this, people blasted about Pakistani Media's irresponsible behavior on twitter and facebook. The main focus of Pakistani media is breaking the news first!!! #PakistanMedia is all about breaking the news first, no ethics, no morality, no sense !!! Pakistani Media is not only free but immature also! And some one reported Fire Brigade can't go because they are out of fuel, seriously??? People got angry that how media got access? In the last I just want to say that we want free media but not immature media. There should be very strict code of conduct for Pakistan Media. We should make it clear to all the media giants about what they can broadcast live and what they can't. There should be strict ruling and immediate offline if any channel cross the boundary.